a way to plug the gaps between transport hubs as a ‘last mile’ solution for city commuters. While they have been embraced by some cities, in others there has been a swift reaction against shared electric scooters. A key reason for this is that electric scooters often fall into a regulatory grey area where they are neither human powered and legal to use on pavements, nor are they fully motorised vehicles that can be used on roads. Even where they are legal to use, concerns about the introduction of these services has led to swift new rules and even bans being brought into force. Set out below are the key concerns from policymakers and some of the ways scooter operators can work to assuage the concerns and gain regulatory approval. A common view expressed in various cities are safety concerns about the use of scooters. The industry is still in its infancy but we have already had serious accidents, such as the first recorded death whilst using an electric scooter in Texas, and the fatal collision between a car and a scooter rider in Washington DC. We have also had reports of doctors warning of a spike in accident and emergency cases. The perception that this new form of mobility can do more harm than good is discernible and by way of example, one response from the City Council in Cincinnati, Ohio has been to call for operators to pay damages to pedestrians hit by users of electric scooters. Working with authorities to educate users on the safe use of scooters is a first step, as seen by operators who now show safety warnings to users on their websites and apps. Some are going further and offering free helmets to first time subscribers. Another measure that should be considered is upgrading the scooters themselves, which Uber are reportedly doing by developing their own electric scooter with hidden brake cables that cannot be cut by vandals. Authorities themselves are also taking matters into their own hands with the Department of Transport in Portland, Oregon attaching notices to scooters advising on their safe use. Building awareness on the safe use of scooters will take time and supporting efforts like these show a responsibility to public safety. The arrival of dockless shared bike schemes in cities across the world set the scene for how the arrival of electric scooters is perceived. Attention grabbing headlines and photos of “bike graveyards” or mountains of vandalised bikes does little to help the tendency of viewing electric scooters as adding to the scourge of public pavements. Proactive measures such as geofencing parking areas are one option, another is disincentives or fines used for bike-sharing users who park outside of operating zones which could be adapted to scooter sharing. It is safe to say that parking problems have not yet been resolved for dockless bikes, nor will they be immediately for electric scooters, but this is an area which will require measures and responsibility from all sides. By way of example, cooperative measures have been introduced in Singapore, where operators have worked with authorities and used geofencing to require use of dedicated parking areas for dockless bikes. A common argument used against the arrival of shared electric scooters has been that the companies behind them are not contributing to infrastructure, in particular cycle lanes which are of significant benefit to scooter riders. This was a similar point made by incumbent docked bike-sharing schemes after the arrival of dockless operators. Recent launches of electric scooters in Europe has led to calls for licensing, such as the Deputy Mayor charged with transport in Paris, France calling for local powers to issue such licences. In some countries shared scooter operators require licences to operate, even if these licences were not created with shared-use transport in mind. However, in other countries, operators such as Bird have taken forward-looking measures such as pledging to share revenues with authorities to fund the development of bike lanes. 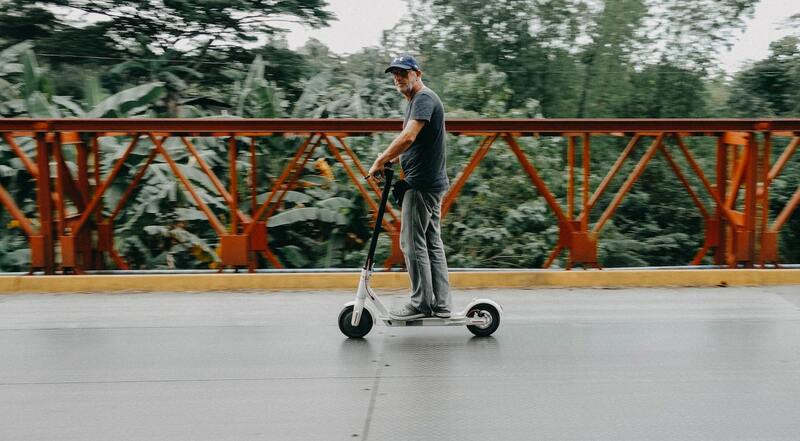 In the end, measures that show that operators are willing to contribute to infrastructure which policymakers see as necessary for the safe use of electric scooters will go a long way in creating a positive image for the sector. If you would like advice on how to approach policymakers and help with messaging across the EU please get in touch, we would be happy to have an introductory conversation about our services. Alternatively, to keep abreast of how the electric scooter and bike-sharing market is adapting to these challenges across the world please sign up for a free trial of our Bike and Scooter Sharing Sector News Summary.